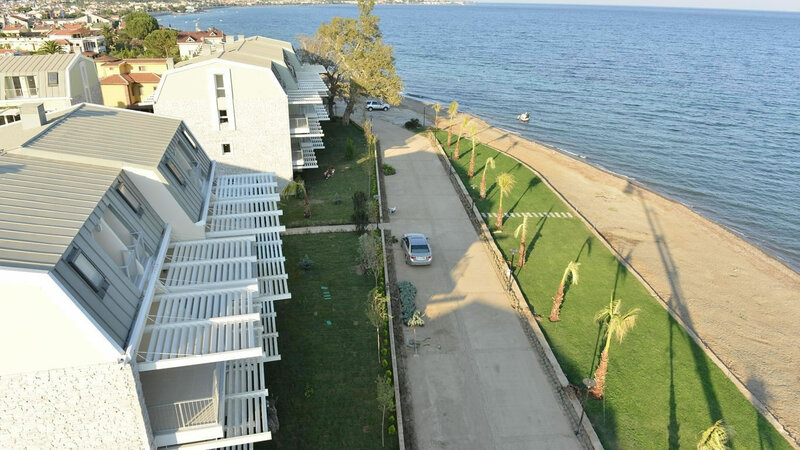 Küçükkuyu Port in Edremit Bay, which is the holiday paradise of North Eagen, is composed of 17 blocks and provides opportunity to live with pleasure and in safety throughout 12 months. Beside its natural beauty and the other advantages it has, the peace is under guarantee with the 365 days and 24 hours security system. 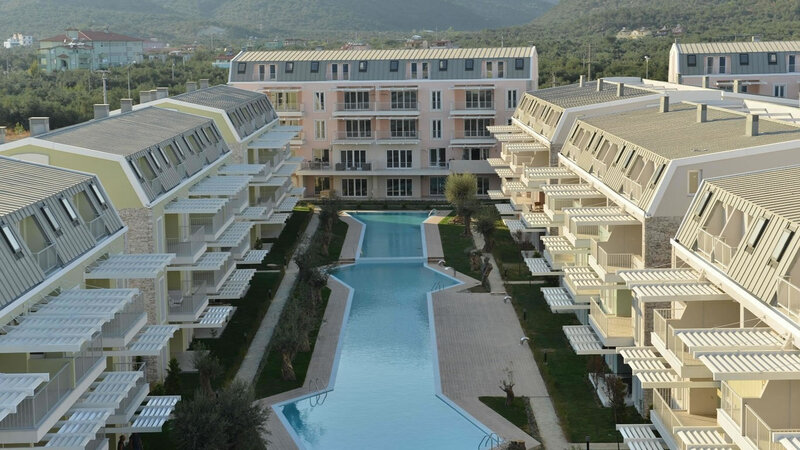 There are 3 housing options in the project regarding 2+1, 3+1 and 4+1 and the sizes of the apartments varies between 82 m² and 182 m². 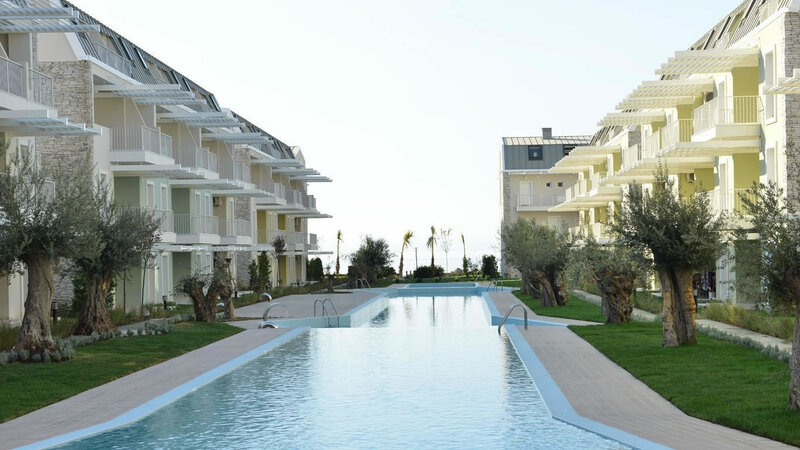 There are two 90 meters swimmimg pools, a private beach, a beach bar, a personal parking area, a kinder playground and sports area among the social opportunities of the project. 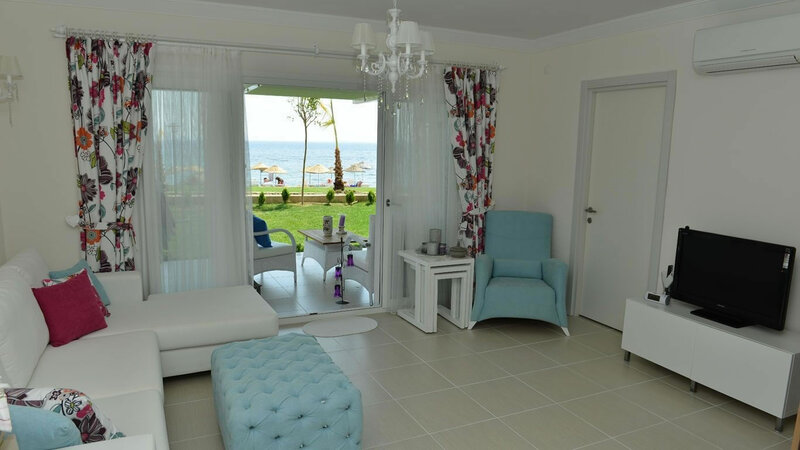 Küçükkuyu that has wide beaches and blue flagged sea, provides possibility to enjoy all-day-luminous sea on the private beach for the complex dwellers.